THE DIRECTOR of a large building company along with his site manager have received hefty fines after an apprentice fell from a roof on a Coast building site. Second-year apprentice Christopher Barnes, 18, fell 3.98 metres from a roof which was not fitted with scaffolding on July 3, 2015 while working on the Nature's Edge housing estate project in Buderim. When Mr Barnes put down the circular saw he was working with it began to slip so he reached to grab it, but lost his footing. He then jumped onto the roof of a neighbouring house before falling and hitting a concrete wall on the way down. Mr Barnes suffered a head laceration, cuts and bruises and was hospitalised for 24 hours, but only required five days off work and has since gone on to continue his apprenticeship with a different company. Phil Gabel and Warren Young pleaded guilty in the Maroochydore Magistrates Court yesterday to one count each of failure to comply with a health and safety duty. Gabel, sole director of Propcorp, hired Young, trading as Ashmik Carpentry, as both a carpenter and construction manager for the project of which he was the primary contractor. 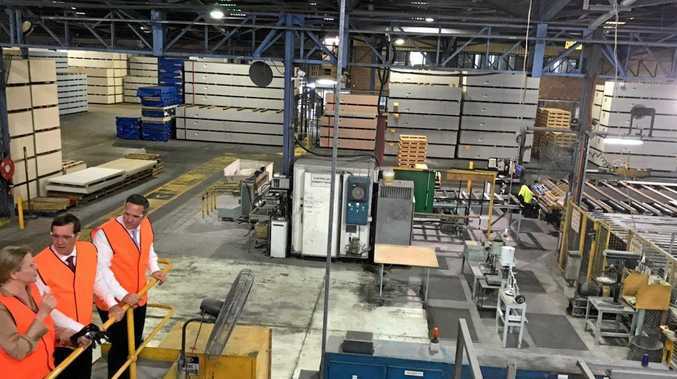 Workplace Health and Safety Queensland prosecutor Lisa McConnell said Mr Barnes had been working on the site for less than a month and had not completed a site induction or working at heights training. Ms McConnell questioned how Gabel could hire Young as both a carpenter and construction manager, due to the "enormity" of the project, leading to what was described by Acting Magistrate Andrew Walker as a "lack of communication" in respect to safety procedures. Gabel's lawyer, John Merrell said since the incident Propcorp had employed a full-time workplace health and safety officer who was on site every day and a construction site administrator to help Young implement safety provisions. Mr Merrell argued his client's failure wasn't in a lack of safety implementation, but rather a failure to ensure Young was adequately implementing the procedures. Both men had never come before the court for workplace health and safety breaches in their decades of working in the industry. Mr Walker said while Propcorp had safety documentation in place at the time, Gabel had failed to ensure Young was supervised in his role and despite the victim not suffering permanent injury it was more a case of "good luck, rather than good management". He also noted if Gabel had "full inducted" Young in his role as a constructing manager, the risk would have been reduced. However, Mr Walker said Young had "failed to ensure the correct inductions were given" despite the knowledge apprentices are less experienced. For their roles in the incident, Gabel was fined $75,000 and Young $30,000.